For anyone seeking to improve their health and fitness, strength training should be a top priority, and no strength-training regimen would be complete without bicep exercises! Toned, muscular arms are highly sought after by both men and women. When your arms are strong and sleek, your functional strength and endurance are heightened as is your confidence when reaching for that sleeveless top. Try to dedicate 1 or possibly 2 days, if you have good recovery ability, for training your biceps. 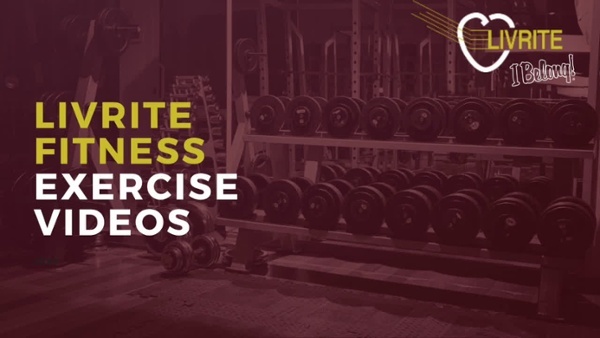 Your goal for each exercise will be to complete 10 to 12 repetitions per set, while performing 3-4 sets per exercise. If you are lifting heavier weight than you are use to (with good form) then aim for 3-4 sets hitting around 4-8 repetitions per set. Step 1: Stand up straight while holding a barbell in a shoulder-width grip. 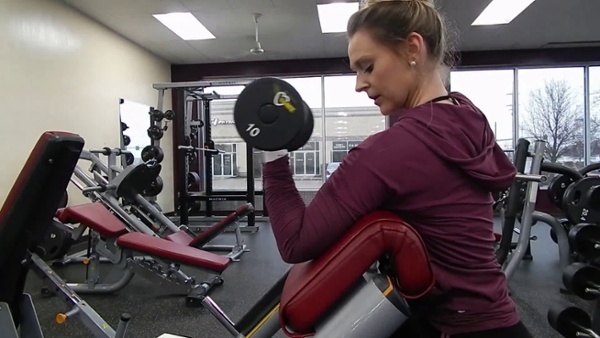 Step 2: Contract your biceps to curl the weight forward. Your upper arms should remain stationary during this process. Step 3: Continue moving the barbell until the biceps are fully contracted and the bar is at shoulder height. Hold this position for a second and then squeeze your biceps. Step 4: Bring the barbell back to the starting position. Do 3-4 sets hitting around 10-12 reps. If you are using heavier weight do 3-4 sets hitting around 4-8 repetitions. Step 1: Grab the E-Z curl bar at the close inner handle. Have someone hand you the bar which is preferable or grab the bar from the front bar rest provided by most preacher benches. The palm of your hands should be facing forward and they should be slightly tilted inwards due to the shape of the bar. Step 2: With the upper arms positioned against the preacher bench pad and the chest against it, hold the E-Z curl bar at shoulder length. This will be your starting position. 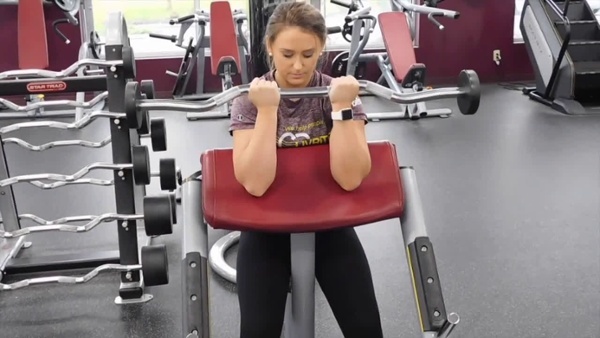 Step 1: With a dumbbell in hand, position yourself on a preacher bench so that you are sitting with your chest against the chest pad and your arm on top of the arm pad, elbow bent and the dumbbell toward your shoulder, palm facing in. Step 2: Inhaling, completely lower the dumbbell until your elbow is nearly extended. Step 3: Exhaling, slowly raise the dumbbell back toward your shoulder. Step 4: Squeeze the bicep as you hold the position for a couple of counts. Step 5: Repeat for a full set and then switch sides. Do 3-4 sets hitting around 10-12 reps. If you are using heavier weight do 3-4 sets hitting around 4-8 repetitions. Step 1: To begin, stand straight holding a barbell using a pronated grip (palms facing down). Your arms should be fully extended while your feet are shoulder width apart from each other. This is the starting position. Step 2: While holding the upper arms stationary, curl the bar while contracting the biceps as you breathe out. Only the forearms should move. 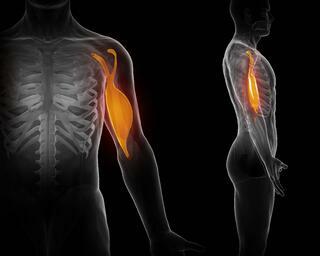 Continue the movement until your biceps are fully contracted and barbell is at shoulder level. Hold the contracted position for a second as you squeeze the muscle. Step 3: Slowly begin to bring the barbell back to starting position as your breathe in. Step 4: Do 3-4 sets hitting around 10-12 repetitions. If you are using heavier weight do 3-4 sets hitting around 4-8 repetitions. Bored of your current workout routine? Download our free 28 day challenge E-Book. Step 1: Stand up with your torso upright while holding a cable curl bar that is attached to a low pulley. Grab the cable bar at shoulder width and keep the elbows close to the torso. The palm of your hands should be facing up (supinated grip). This will be your starting position. Step 2: While holding the upper arms stationary, curl the weights while contracting the biceps as you breathe out. Only the forearms should move. Continue the movement until your biceps are fully contracted and the bar is at shoulder level. Hold the contracted position for a second as you squeeze the muscle. Step 3: Slowly begin to bring the curl bar back to starting position as your breathe in. Step 4: Repeat for 3-4 sets hitting around 10-12 repetitions. If you are using heavier weight do 3-4 sets with 4-8 repetitions. Which is your favorite bicep exercise on the list? Let us know on Facebook or twitter.